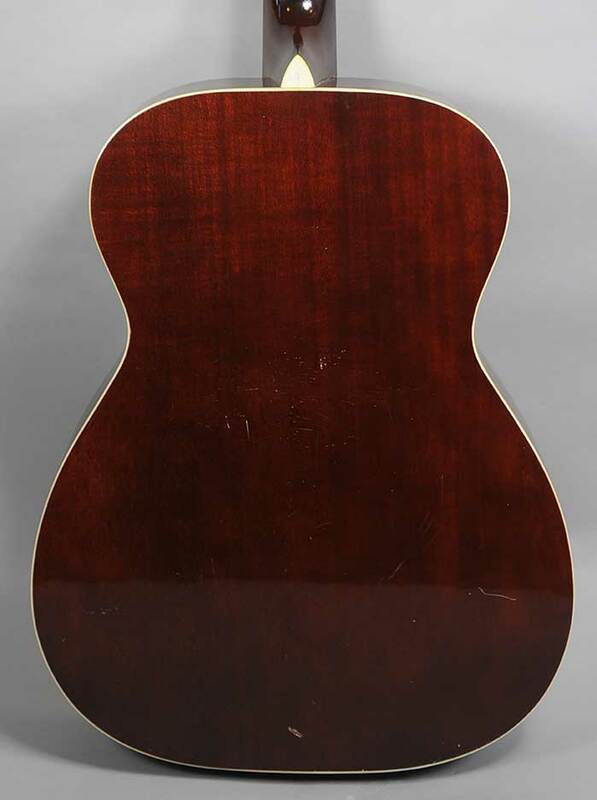 Solid spruce top, solid mahogany back and sides. 15-1/8″ lower bout, gloss lacquer finish, rosewood fretboard and bridge, gold screen printed decoration on the peghead and pickguard. 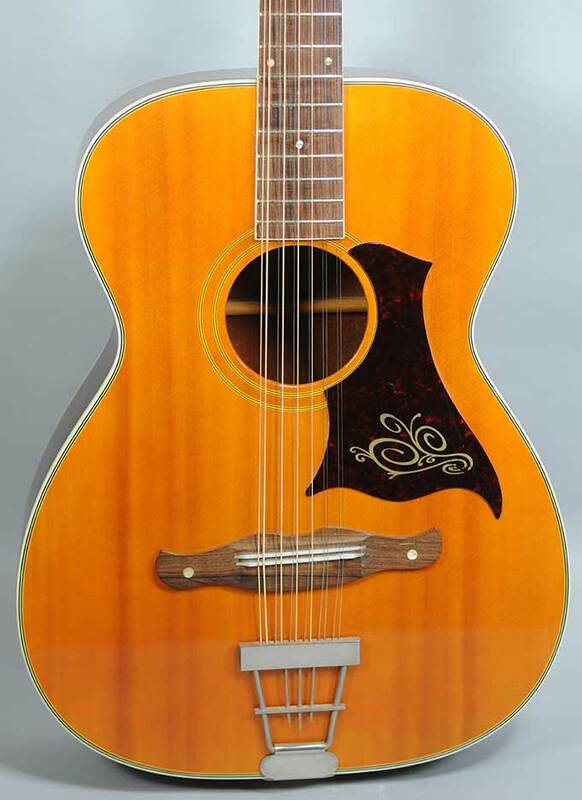 This is essentially the smaller Harmony Sovereign body with a 12 string neck that joins the body at the 12th fret, a heavy trapeze tailpiece and movable bridge.